Case prepared by Ms. Danielle Breitenbücher, Master student at the Faculties of Law of the Universities of Geneva and Basel (Switzerland), under the supervision of Professor Marco Sassòli and Ms. Gaetane Cornet, research assistant. This white paper sets forth a legal framework for considering the circumstances in which the U.S. government could use lethal force in a foreign country outside the area of active hostilities against a U.S. citizen who is a senior operational leader of al-Qa'ida or an associated force of al-Qa'ida – that is, an al-Qa'ida leader actively engaged in planning operations to kill Americans. The paper does not attempt to determine the minimum requirements necessary to render such an operation lawful; nor does it assess what might be required to render a lethal operation against a U.S. citizen lawful in other circumstances, including an operation against enemy forces on a traditional battlefield or an operation against a U.S. citizen who is not a senior operational leader of such forces. Here the Department of Justice concludes only that where the following three conditions are met, a U.S. operation using lethal force in a foreign country against a U.S. citizen who is a senior operational leader of al-Qa'ida or an associated force would be lawful: (1) an informed, high level official of the U.S. government has determined that the targeted individual poses an imminent threat of violent attack against the United States; (2) capture is infeasible, and the United States continues to monitor whether capture becomes feasible; and (3) the operation would be conducted in a manner consistent with applicable law of war principles. This conclusion is reached with recognition of the extraordinary seriousness of a lethal operation by the United States against a U.S. citizen, and also of the extraordinary seriousness of the threat posed by senior operational al-Qa'ida members and the loss of life that would result were their operations successful. The President has authority to respond to the imminent threat posed by al-Qa'ida and its associated forces, arising from his constitutional responsibility to protect the country, the inherent right of the United States to national self defense under international law, Congress's authorization of the use of all necessary and appropriate military force against this enemy, and the existence of an armed conflict with al-Qa'ida under international law. Based on these authorities, the President may use force against al-Qa'ida and its associated forces. As detailed in this white paper, in defined circumstances, a targeted killing of a U.S. citizen who has joined al-Qa'ida or its associated forces would be lawful under U.S. and international law. Targeting a member of an enemy force who poses an imminent threat of violent attack to the United States is not unlawful. It is a lawful act of national self defense. Nor would it violate otherwise applicable federal laws barring unlawful killings in Title 18 or the assassination ban in Executive Order No 12333. Moreover, a lethal operation in a foreign nation would be consistent with international legal principles of sovereignty and neutrality if it were conducted, for example, with the consent of the host nation's government or after a determination that the host nation is unable or unwilling to suppress the threat posed by the individual targeted. The paper begins with a brief summary of the authority for the use of force in the situation described here, including the authority to target a U.S. citizen having the characteristics described above with lethal force outside the area of active hostilities. It continues with the constitutional questions, considering first whether a lethal operation against such a U.S. citizen would be consistent with the Fifth Amendment's Due Process Clause. As part of the due process analysis, the paper explains the concepts of "imminence," feasibility of capture, and compliance with applicable law of war principles. The paper then discusses whether such an operation would be consistent with the Fourth Amendment's prohibition on unreasonable seizures. It concludes that where certain conditions are met, a lethal operation against a U.S. citizen who is a senior operational leader of al-Qa'ida or its associated forces – a terrorist organization engaged in constant plotting against the United States, as well as an enemy force with which the United States is in a congressionally authorized armed conflict – and who himself poses an imminent threat of violent attack against the United States, would not violate the Constitution. The paper also includes an analysis concluding that such an operation would not violate certain criminal provisions prohibiting the killing of U.S. nationals outside the United States; nor would it constitute either the commission of a war crime or an assassination prohibited by Executive Order 12333. The United States is in an armed conflict with al-Qa'ida and its associated forces, and Congress has authorized the President to use all necessary and appropriate force against those entities. See Authorization for Use of Military Force ("AUMF). In addition to the authority arising from the AUMF, the President's use of force against al-Qa'ida and associated forces is lawful under other principles of U.S. and international law, including the President's constitutional responsibility to protect the nation and the inherent right to national self defense recognized in international law (see, e.g., U.N. Charter art. 51). It was on these bases that the United States responded to the attacks of September 11, 2001, and "[t]hese domestic and international legal authorities continue to this day." Any operation of the sort discussed here would be conducted in a foreign country against a senior operational leader of al-Qa'ida or its associated forces who poses an imminent threat of violent attack against the United States. A use of force under such circumstances would be justified as an act of national self-defense. In addition, such a person would be within the core of individuals against whom Congress has authorized the use of necessary and appropriate force. The fact that such a person would also be a U.S. citizen would not alter this conclusion. The Supreme Court has held that the military may constitutionally use force against a U.S. citizen who is a part of enemy forces. See Hamdi, 542 U.S. 507, 518 (2004) (plurality opinion); id. at 587, 597 (Thomas, J., dissenting); Ex Parte Quirin, 317 U.S. at 37-38. Like the imposition of military detention, the use of lethal force against such enemy forces is an "important incident of war." [See Case No. 99, United States, Ex Parte Quirin et al.] Hamdi, 542 U.S. at 518 (plurality opinion) (quotation omitted). 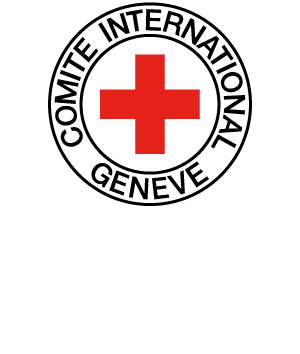 […] International Committee of the Red Cross, Commentary on the Additional Protocols of 8 June 1977 to the Geneva Conventions of 12 Aug. 1949 and Relating to the Protection of Victims of Non-International Armed Conflicts (Additional Protocol II) § 4789 (1987) ("Those who belong to armed forces or armed groups may be attacked at any time. "); […]). Accordingly, the Department does not believe that U.S. citizenship would immunize a senior operational leader of al-Qa'ida or its associated forces from a use of force abroad authorized by the AUMF or in national self-defense. In addition, the United States retains its authority to use force against al-Qa'ida and associated forces outside the area of active hostilities when it targets a senior operational leader of the enemy forces who is actively engaged in planning operations to kill Americans. The United States is currently in a non-international armed conflict with al-Qa'ida and its associated forces. See Hamdan v. Rumsfeld, 548 U.S. 557, 628-31 (2006) (holding that a conflict between a nation and a transnational non-state actor, occurring outside the nation's territory, is an armed conflict "not of an international character" (quoting Common Article 3 of the Geneva Conventions) because it is not a "clash between nations") [see Case No. 263, United States, Hamdan v. Rumsfeld]. Any U.S. operation would be part of this non-international armed conflict, even if it were to take place away from the zone of active hostilities. For example, the AUMF itself does not set forth an express geographic limitation on the use of force it authorizes. None of the three branches of the U.S. Government has identified a strict geographical limit on the permissible scope of the AUMF's authorization. […] Bensayah v. Obama, 610 F.3d 718, 720, 724-25, 727 (D.C. Cir. 2010) (concluding that an individual turned over to the United States in Bosnia could be detained if the government demonstrates he was part of al-Qa'ida) […] Claiming that for purposes of international law, an armed conflict generally exists only when there is "protracted armed violence between governmental authorities and organized armed groups, "Prosecutor v. Tadic, Case No. IT-94-1AR72, Decision on the Defence Motion for Interlocutory Appeal on Jurisdiction, 70 (Int'l Crim. Trib. for the Former Yugoslavia, App. Chamber Oct. 2,1995) [see Case No. 211, ICTY, The Prosecutor v. Tadic, p. 1758], some commenters have suggested that the conflict between the United States and al-Qa'ida cannot lawfully extend to nations outside Afghanistan in which the level of hostilities is less intense or prolonged than in Afghanistan itself. There is little judicial or other authoritative precedent that speaks directly to the question of the geographic scope of a non-international armed conflict in which one of the parties is a transnational, non-state actor and where the principal theater of operations is not within the territory of the nation that is a party to the conflict. Thus, in considering this potential issue, the Department looks to principles and statements from analogous contexts. The Department has not found any authority for the proposition that when one of the parties to an armed conflict plans and executes operations from a base in a new nation, an operation to engage the enemy in that location cannot be part of the original armed conflict, and thus subject to the laws of war governing that conflict, unless the hostilities become sufficiently intense and protracted in the new location. That does not appear to be the rule of the historical practice, for instance, even in a traditional international conflict. Particularly in a non-international armed conflict, where terrorist organizations may move their base of operations from one country to another, the determination of whether a particular operation would be part of an ongoing armed conflict would require consideration of the particular facts and circumstances in each case, including the fact that transnational non-state organizations such as al-Qa'ida may have no single site serving as their base of operations. See also, e.g., Geoffrey S. Corn & Eric Talbot Jensen, Untying the Gordian Knot: A Proposal for Determining Applicability of the Laws of War to the War on Terror, 81 Temp. L. Rev. 787, 799 (2008) ("If... the ultimate purpose of the drafters of the Geneva Conventions was to prevent 'law avoidance' by developing de facto law triggers—a purpose consistent with the humanitarian foundation of the treaties—then the myopic focus on the geographic nature of an armed conflict in the context of transnational counterterrorist combat operations serves to frustrate that purpose."). The Department assumes that the rights afforded by Fifth Amendment's Due Process Clause, as well as the Fourth Amendment, attach to a U.S. citizen even while he is abroad.. The U.S. citizenship of a leader of al-Qa'ida or its associated forces, however, does not give that person constitutional immunity from attack. This paper next considers whether and in what circumstances a lethal operation would violate any possible constitutional protections of a U.S. citizen. The Due Process Clause would not prohibit a lethal operation of the sort contemplated here. In Hamdi, a plurality of the Supreme Court used the Mathews v. Eldridge balancing test to analyze the Fifth Amendment due process rights of a U.S. citizen who had been captured on the battlefield in Afghanistan and detained in the United States, and who wished to challenge the government's assertion that he was part of enemy forces. The Court explained that the "process due in any given instance is determined by weighing 'the private interest that will be affected by the official action' against the Government's asserted interest, 'including the function involved' and the burdens the Government would face in providing greater process." Hamdi, 542 U.S. at 529 (plurality opinion) (quoting Mathews v. Eldridge, 424 U.S. 319,335 (1976)). The due process balancing analysis applied to determine the Fifth Amendment rights of a U.S. citizen with respect to law-of-war detention supplies the framework for assessing the process due a U.S. citizen who is a senior operational leader of an enemy force planning violent attacks against Americans before he is subjected to lethal targeting. In the circumstances considered here, the interests on both sides would be weighty. An individual's interest in avoiding erroneous deprivation of his life is "uniquely compelling.". No private interest is more substantial. At the same time, the government's interest in waging war, protecting its citizens, and removing the threat posed by members of enemy forces is also compelling.. As the Hamdi plurality observed, in the "circumstances of war," "the risk of erroneous deprivation of a citizen's liberty in the absence of sufficient process ... is very real,", and, of course, the risk of an erroneous deprivation of a citizen's life is even more significant. But, "the realities of combat" render certain uses of force "necessary and appropriate," including force against U.S. citizens who have joined enemy forces in the armed conflict against the United State and whose activities pose an imminent threat of violent attack against the United States - and "due process analysis need not blink at those realities.". These same realities must also be considered in assessing "the burdens the Government would face in providing greater process" to a member of enemy forces. In view of these interests and practical considerations, the United States would be able to use lethal force against a U.S. citizen, who is located outside the United States and is an operational leader continually planning attacks against U.S. persons and interests, in at least the following circumstances: (1) where an informed, high-level official of the. U.S. government has determined that the targeted individual poses an imminent threat of violent attack against the United States; (2) where a capture operation would be infeasible—and where those conducting the operation continue to monitor whether capture becomes feasible; and (3) where such an operation would be conducted consistent with applicable law of war principles. In these circumstances, the "realities" of the conflict and the weight of the government's interest in protecting its citizens from an imminent attack are such that the Constitution would not require the government to provide further process to such a U.S. citizen before using lethal force. Certain aspects of this legal framework require additional explication. First, the condition that an operational leader present an "imminent" threat of violent attack against the United States does not require the United States to have clear evidence that a specific attack on U.S. persons and interests will take place in the immediate future. Given the nature of, for example, the terrorist attacks on September 11, in which civilian airliners were hijacked to strike the World Trade Center and the Pentagon, this definition of imminence, which would require the United States to refrain from action until preparations for an attack are concluded, would not allow the United States sufficient time to defend itself. The defensive options available to the United States may be reduced or eliminated if al-Qa'ida operatives disappear and cannot be found when the time of their attack approaches. Consequently, with respect to al-Qa'ida leaders who are continually planning attacks, the United States is likely to have only a limited window of opportunity within which to defend Americans in a manner that has both a high likelihood of success and sufficiently reduces the probabilities of civilian casualties. Furthermore, a "terrorist 'war' does not consist of a massive attack across an international border, nor does it consist of one isolated incident that occurs and is then past. It is a drawn out, patient, sporadic pattern of attacks. It is very difficult to know when or where the next incident will occur.". Delaying action against individuals continually planning to kill Americans until some theoretical end stage of the planning for a particular plot would create an unacceptably high risk that the action would fail and that American casualties would result. By its nature, therefore, the threat posed by al-Qa'ida and its associated forces demands a broader concept of imminence in judging when a person continually planning terror attacks presents an imminent threat, making the use of force appropriate. In this context, imminence must incorporate considerations of the relevant window of opportunity, the possibility of reducing collateral damage to civilians, and the likelihood of heading off future disastrous attacks on Americans. Thus, a decision maker determining whether an al-Qa'ida operational leader presents an imminent threat of violent attack against the United States must take into account that certain members of al-Qa'ida (including any potential target of lethal force) are continually plotting attacks against the United States; that al-Qa'ida would engage in such attacks regularly to the extent it were able to do so; that the U.S. government may not be aware of all al-Qa'ida plots as they are developing and thus cannot be confident that none is about to occur; and that, in light of these predicates, the nation may have a limited window of opportunity within which to strike in a manner that both has a high likelihood of success and reduces the probability of American casualties. With this understanding, a high-level official could conclude, for example, that an individual poses an imminent threat of violent attack against the United States where he is an operational leader of al-Qa'ida or an associated force and is personally and continually involved in planning terrorist attacks against the United States. Moreover, where the al-Qa'ida member in question has recently been involved in activities posing an imminent threat of violent attack against the United States, and there is no evidence suggesting that he has renounced or abandoned such activities, that member's involvement in al-Qa'ida's continuing terrorist campaign against the United States would support the conclusion that the member poses an imminent threat. Second, regarding the feasibility of capture, capture would not be feasible if it could not be physically effectuated during the relevant window of opportunity or if the relevant country were to decline to consent to a capture operation. Other factors such as undue risk to U.S. personnel conducting a potential capture operation also could be relevant. Feasibility would be a highly fact-specific and potentially time-sensitive inquiry. Third, it is a premise here that any such lethal operation by the United States would comply with the four fundamental law-of-war principles governing the use of force: necessity, distinction, proportionality, and humanity (the avoidance of unnecessary suffering). For example, it would not be consistent with those principles to continue an operation if anticipated civilian casualties would be excessive in relation to the anticipated military advantage. An operation consistent with the laws of war could not violate the prohibitions against treachery and perfidy, which address a breach of confidence by the assailant. These prohibitions do not, however, categorically forbid the use of stealth or surprise, nor forbid attacks on identified individual soldiers or officers. And the Department is not aware of any other law-of-war grounds precluding use of such tactics. Relatedly, "there is no prohibition under the laws of war on the use of technologically advanced weapons systems in armed conflict – such as pilotless aircraft or so-called smart bombs – as long as they are employed in conformity with applicable laws of war." Further, under this framework, the United States would also be required to accept a surrender if it were feasible to do so. Similarly, assuming that a lethal operation targeting a U.S. citizen abroad who is planning attacks against the United States would result in a "seizure" under the Fourth Amendment, such an operation would not violate that Amendment in the circumstances posited here. The Supreme Court has made clear that the constitutionality of a seizure is determined by "balanc[ing] the nature and quality of the intrusion on the individual's Fourth Amendment interests against the importance of the governmental interests alleged to justify the intrusion." Even in domestic law enforcement operations, the Court has noted that "[w]here the officer has probable cause to believe that the suspect poses a threat of serious physical harm, either to the officer or to others, it is not constitutionally unreasonable to prevent escape by using deadly force." Thus, "if the suspect threatens the officer with a weapon or there is probable cause to believe that he has committed a crime involving the infliction or threatened infliction of serious physical harm, deadly force may be used if necessary to prevent escape, and if, where feasible, some warning has been given." A lethal operation against an enemy leader undertaken in national self-defense or during an armed conflict that is authorized by an informed, high-level official and carried out in a manner that accords with applicable law of war principles would fall within a well-established variant of the public authority justification and therefore would not be murder [prohibited under U.S. domestic legislation]. The United States is currently in the midst of a congressionally authorized armed conflict with al-Qa'ida and associated forces, and may act in national self-defense to protect U.S. persons and interests who are under continual threat of violent attack by certain al-Q'aida operatives planning operations against them. The public authority justification would apply to a lethal operation of the kind discussed in this paper if it were conducted in accord with applicable law of war principles. As one legal commentator has explained, "if a soldier intentionally kills an enemy combatant in time of war and within the rules of warfare, he is not guilty of murder," whereas, for example, if that soldier intentionally kills a prisoner of war - a violation of the laws of war – "then he commits murder." Moreover, without invoking the public authority justification by its terms, this Department's OLC has relied on the same notion in an opinion addressing the intended scope of a federal criminal statute that concerned the use of potentially lethal force. The fact that an operation may target a U.S. citizen does not alter this conclusion. As explained above, the Supreme Court has held that the military may constitutionally use force against a U.S. citizen who is part of enemy forces. Similarly, under the Constitution and the inherent right to national self-defense recognized in international law, the President may authorize the use of force against a U.S. citizen who is a member of al-Qa'ida or its associated forces and who poses an imminent threat of violent attack against the United States. In light of these precedents, the Department believes that the use of lethal force addressed in this white paper would constitute a lawful killing under the public authority doctrine if conducted in a manner consistent with the fundamental law of war principles governing the use of force in a non-international armed conflict. Such an operation would not violate the assassination ban in Executive Order No. 12333. Section 2.11 of Executive Order No. 12333 provides that "[n]o person employed by or acting on behalf of the United States Government shall engage in, or conspire to engage in, assassination." A lawful killing in self-defense is not an assassination. In the Department's view, a lethal operation conducted against a U.S. citizen whose conduct poses an imminent threat of violent attack against the United States would be a legitimate act of national self-defense that would not violate the assassination ban. Similarly, the use of lethal force, consistent with the laws of war, against an individual who is a legitimate military target would be lawful and would not violate the assassination ban. The War Crimes Act, 18 U.S.C. § 2441 (2006) makes it a federal crime for a member of the Armed Forces or a national of the United States to "commit a war crime." The only potentially applicable provision of section 2441 to operations of the type discussed herein makes it a war crime to commit a "grave breach" of Common Article 3 of the Geneva Conventions when that breach is committed "in the context of and in association with an armed conflict not of an international character." As defined by the statute, a "grave breach" of Common Article 3 includes "[m]urder," described in pertinent part as "[t]he act of a person who intentionally kills, or conspires or attempts to kill... one or more persons taking no active part in the hostilities, including those placed out of combat by sickness, wounds, detention, or any other cause." In conclusion, it would be lawful for the United States to conduct a lethal operation outside the United States against a U.S. citizen who is a senior, operational leader of al-Qa'ida or an associated force of al-Qa'ida without violating the Constitution or the federal statutes discussed in this white paper under the following conditions: (1) an informed, high-level official of the U.S. government has determined that the targeted individual poses an imminent threat of violent attack against the United States; (2) capture is infeasible, and the United States continues to monitor whether capture becomes feasible; and (3) the operation is conducted in a manner consistent with the four fundamental principles of the laws of war governing the use of force. As stated earlier, this paper does not attempt to determine the minimum requirements necessary to render such an operation lawful, nor does it assess what might be required to render a lethal operation against a U.S. citizen lawful in other circumstances. It concludes only that the stated conditions would be sufficient to make lawful a lethal operation in a foreign country directed against a U.S. citizen with the characteristics described above. This document provides information regarding counterterrorism policy standards and procedures that are either already in place or will be transitioned into place over time. What conditions have to be met for a non-international armed conflict to exist? Are these conditions met in Afghanistan? Are they met in Pakistan? In Yemen? In Bosnia or other countries? May Al-Qa’ida as a “transnational non-state organization” be considered a party to a non-international armed conflict under IHL? Does it have the necessary characteristics to be one single armed group? Or should the existence of the conflict be assessed in relation to every branch of Al-Qa’ida? According to the U.S., what are the particularities of its armed conflict with Al-Qa’ida? To what extent is its referral to historical practice relevant for the present case? According to the U.S., which conditions have to be met for its operations to be part of a non-international armed conflict in a specific location? Is it true that the “myopic focus on the geographic nature of an armed conflict in the context of transnational counterterrorist combat operations serves to frustrate” the humanitarian purpose of the drafters of the Geneva Conventions? What rules apply when there is no armed conflict? Are these rules less protective of humanitarian values than those applicable during an armed conflict? Would your answer have been different if the question at stake was not whether people may be killed, but whether wounded enemies must be cared for? Do the U.S. have to respect international human rights law in foreign countries? Under what circumstances? Does your answer change with regard to the human rights of their own nationals? What is the U.S.’ opinion on this matter? (Para. ) Do the legal principles of sovereignty and neutrality as well as the authorisation of an attack by Congress and the inherent right to national self-defence have any effect on the qualification of the conflict under IHL? According to the U.S., under which circumstances could the government use lethal force, in a foreign country outside the area of active hostilities, against a U.S. citizen who is a senior operational leader of Al-Qa’ida or an associated force? When can lethal force be used? Which rules have to be examined to decide whether the U.S. can target one of its nationals in a foreign country? Ius ad bellum? Ius in bello? International human rights law? National law? Is it possible to make use of the right to national self-defence against an armed group? If yes, could the U.S. use force against al-Qa’ida on the territory of a non-consenting invoking the right to national self-defence? Does the fact that the U.S. is acting in self-defence have any influence on the qualification of the conflict? Is the notion of “armed conflict” under IHL equivalent to that of “armed attack” in article 51 of the UN Charter? (Doc. A, Paras -) What is the U.S.’ interpretation of the notion of “imminent threat of violent attack”? Is this a ius ad bellum or ius in bello issue? Does it impact on the legality of deliberately killing a person in an armed conflict? Outside an armed conflict? Given the third criterion defined by the U.S. (“the operation would be conducted in a manner consistent with applicable law of war principles”) and their qualification of the conflict, which body of law does the U.S. consider applicable? (Para. ) Is there a principle of necessity in IHL? Is it explicitly stated in one of the Conventions or Protocols? Is it a customary principle? What does it involve? Regarding the discussion of the Fifth Amendment’s Due Process Clause and the Fourth Amendment as well as the second criterion constituting the lawfulness of a lethal operation as discussed in the paper, which body of law does the U.S. apply? What, if anything, would be different under international human rights law? Under what circumstances does the U.S. have to apply international human rights law outside their own territory? Can it draw a distinction between its own and foreign nationals in applying human rights law the extraterritorially? Assuming there is a non-international armed conflict, are human rights applicable generally? Under which circumstances do they prevail over IHL? (Doc. A, Paras -) Assuming that the operations discussed by the U.S. are law enforcement operations, under which circumstances would a U.S. official have the right to kill a person? Which factors have to be taken into account when weighing the private interests of the targeted person and the interest of the government to kill the person without granting the right to due process? How does the U.S. balance these interests? ((Doc. A, Para. ) How does the U.S. establish whether capturing a person is feasible in a specific situation? To what extent may the factor of “undue risk to U.S. personnel conducting a potential capture operation” be taken into account under international human rights law? What new elements does the Fact Sheet released by the White House from May 2013 introduce when compared to the White Paper? Why does the U.S. distinguish between warzones and areas outside active hostilities? How are these areas defined? According to their argumentation, does the U.S. apply IHL outside areas of active hostilities? Do the five criteria elaborated by the White House in order to allow the use of lethal force against terrorist targets outside the United States and outside areas of active hostilities comply with IHL? Are they more restrictive than IHL? More permissive? In your opinion, are they realistic? Does the U.S. follow a different policy depending on the nationality of the targeted individual? Do IHL and international human rights law draw a similar distinction? Do they allow a state to draw such a distinction?